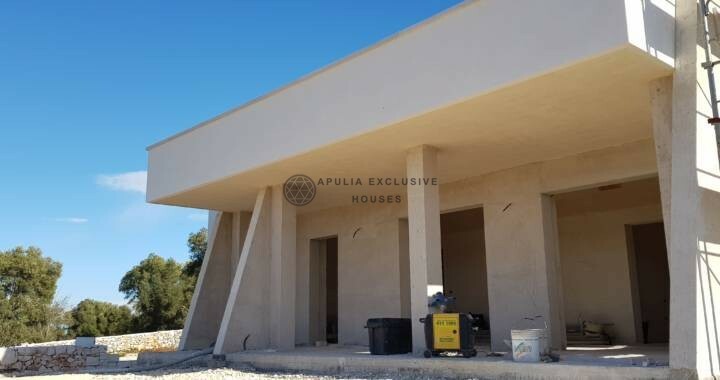 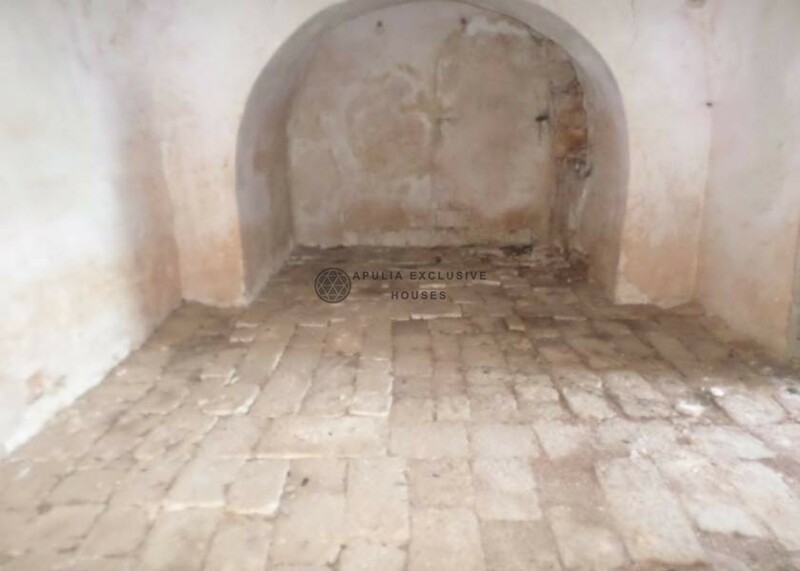 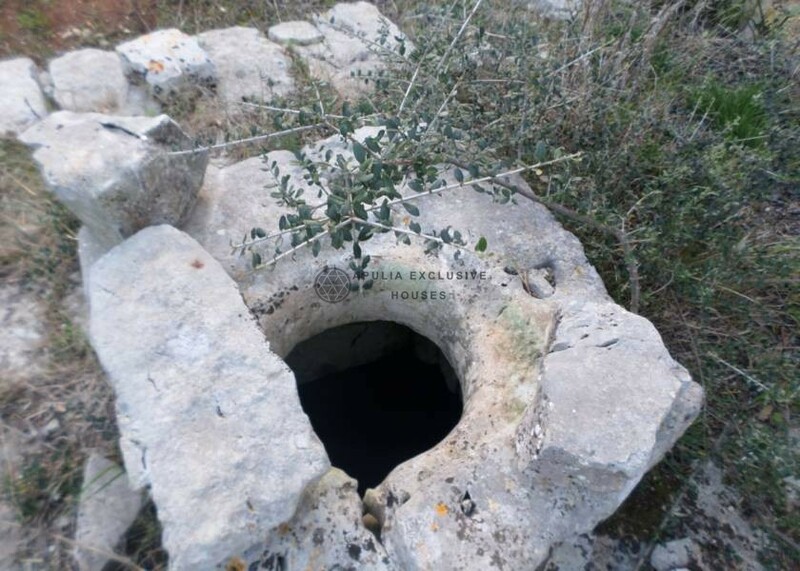 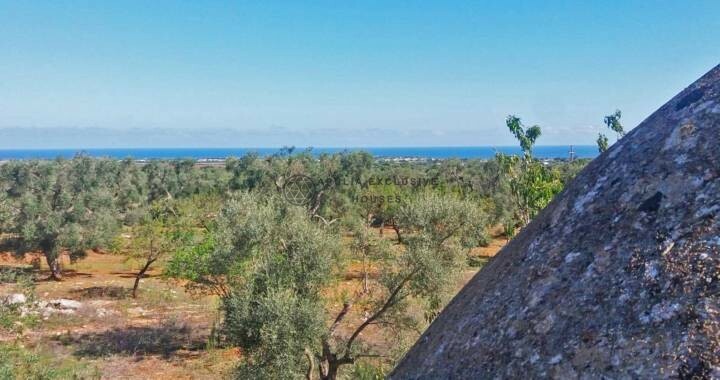 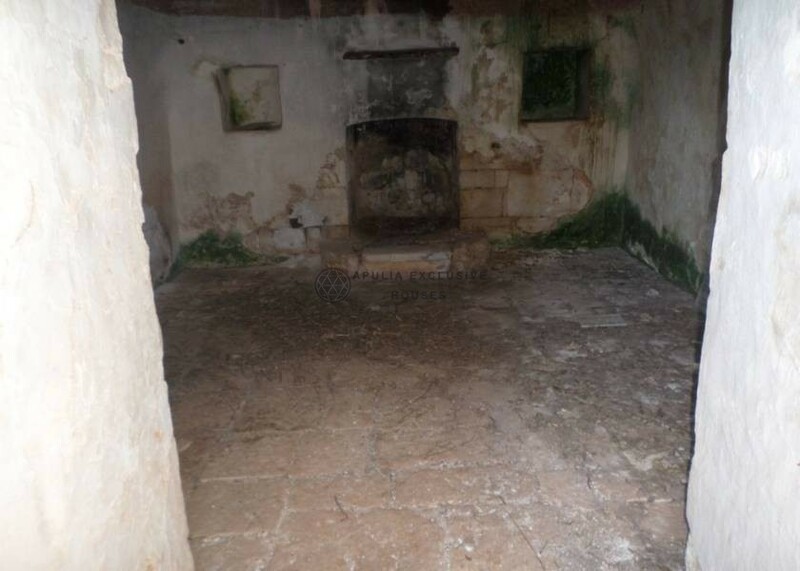 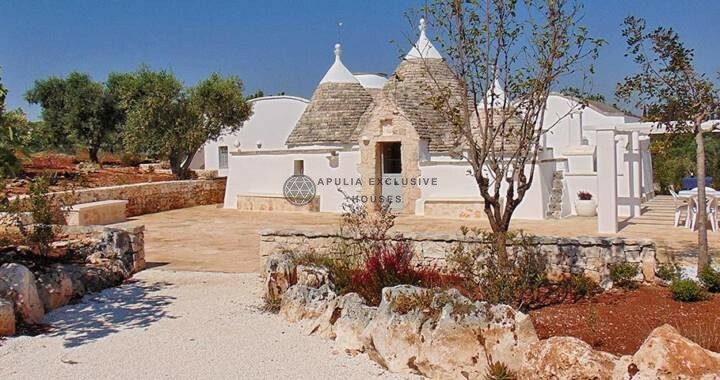 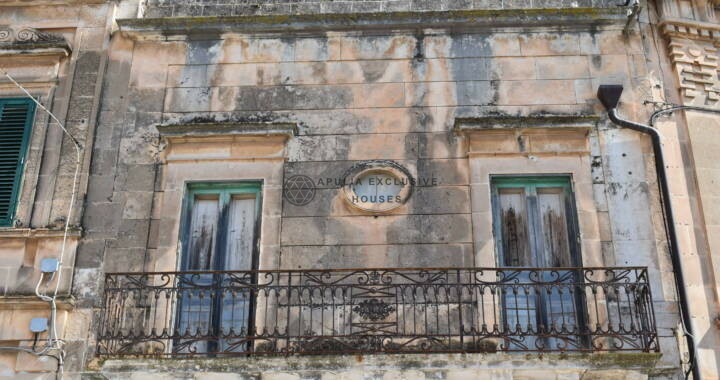 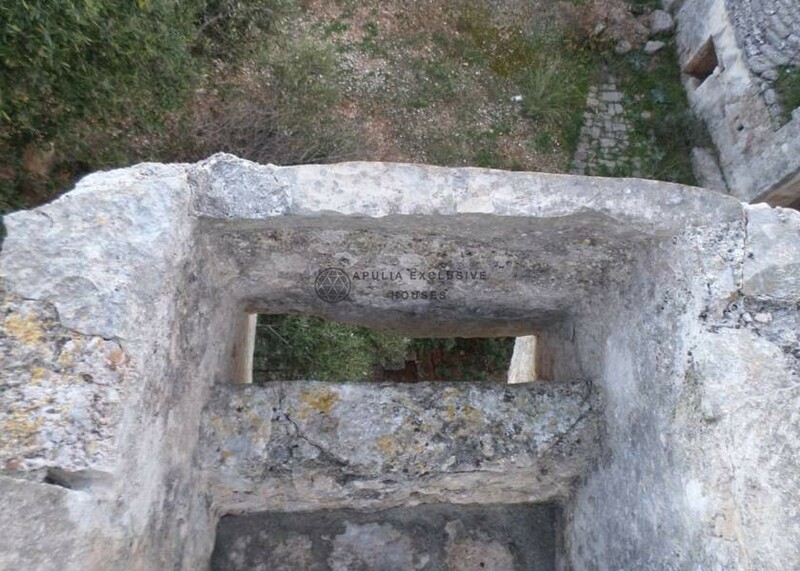 Located in Ostuni’s countryside, an old masseria with sight towers dating back to the 17th Century with a wonderful sea view and an astonishing view of centuries-old olive trees. 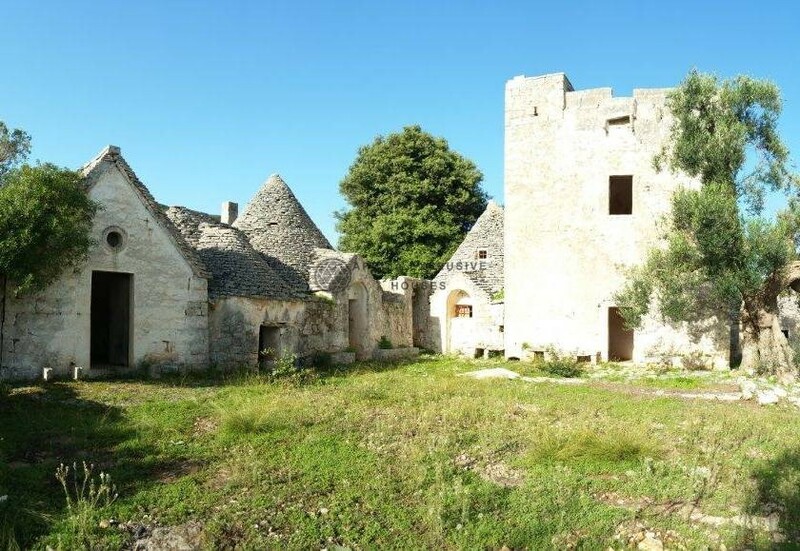 The farm is made up of a square stone tower that spreads over two floors. The ground floors has a barrel-shaped vaulted ceiling, and the first floor has a star-shaped vaulted ceiling. 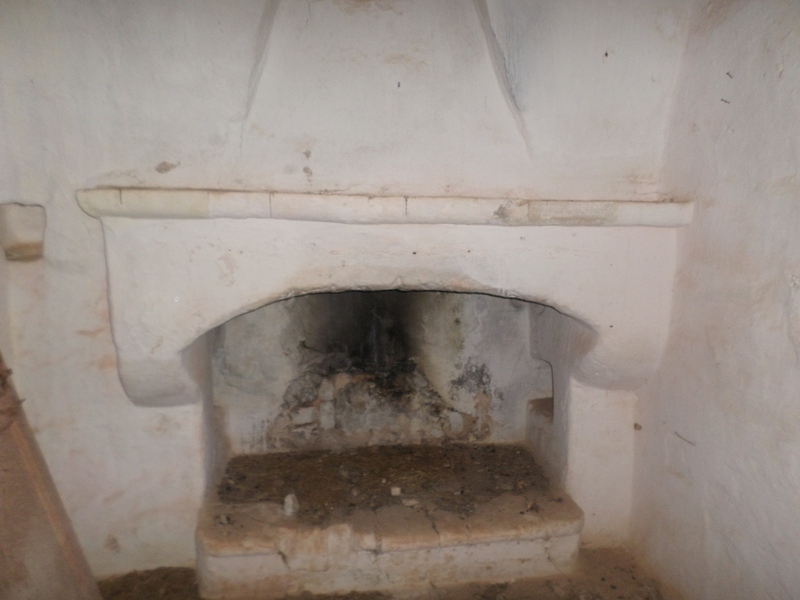 Both floors have fireplaces entirely made of stone. 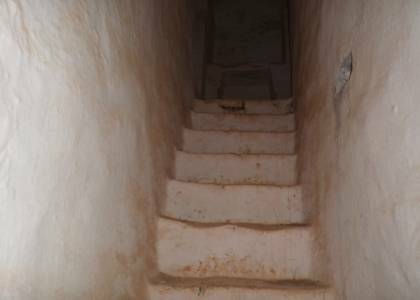 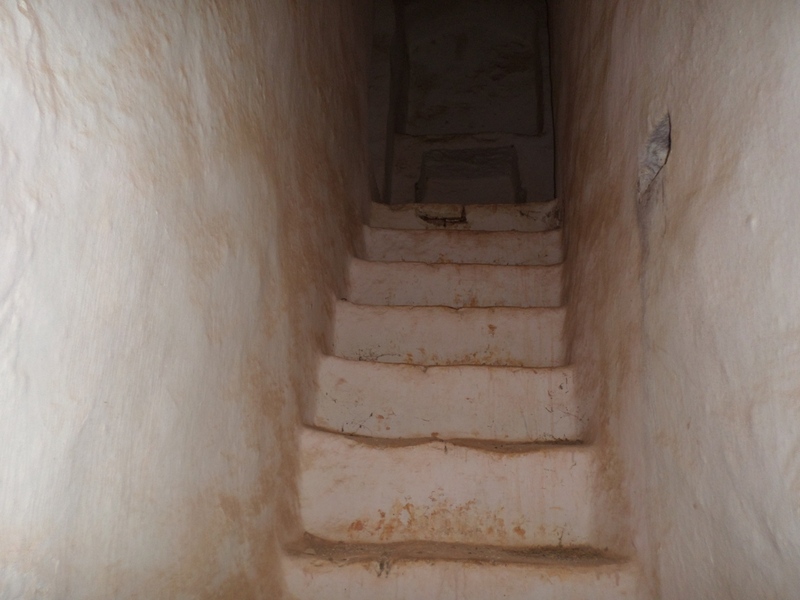 The sight tower has a central defence storm drain placed in the axis with the entrance door and with the window of the noble floor. 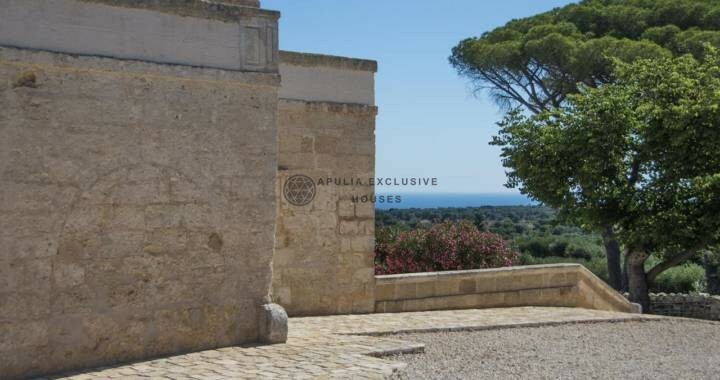 An internal stair gives access to the first floor and to the roof terrace from which it is possible to enjoy the view of centuries-old olive trees and the sea. The tower was made up to defend the coast from the enemies. 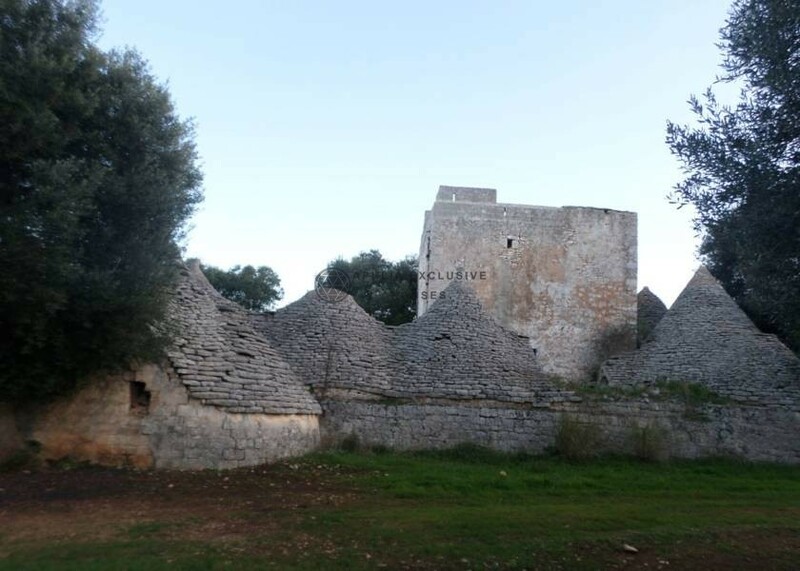 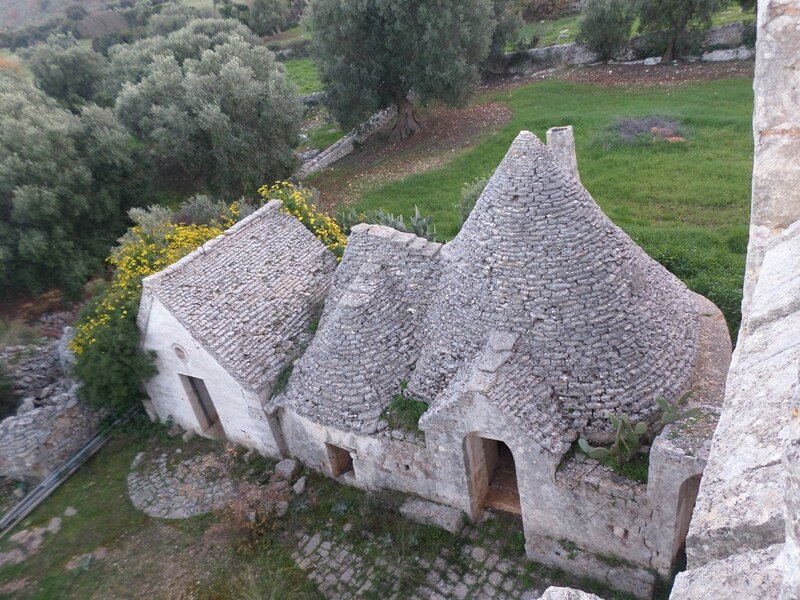 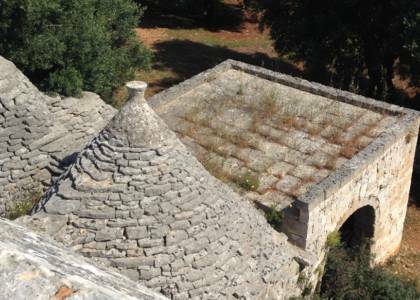 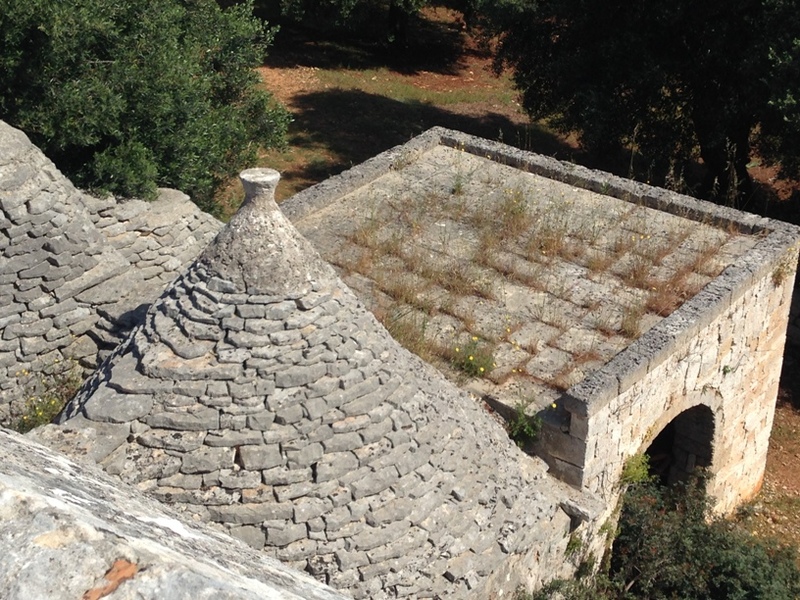 Around the tower 12 Trulli were built and a “lamia”, a paved barnyard made of “chianche”, original limy stones of the territory. Not far from the farm there was an old crusher built in a natural rock cavity. 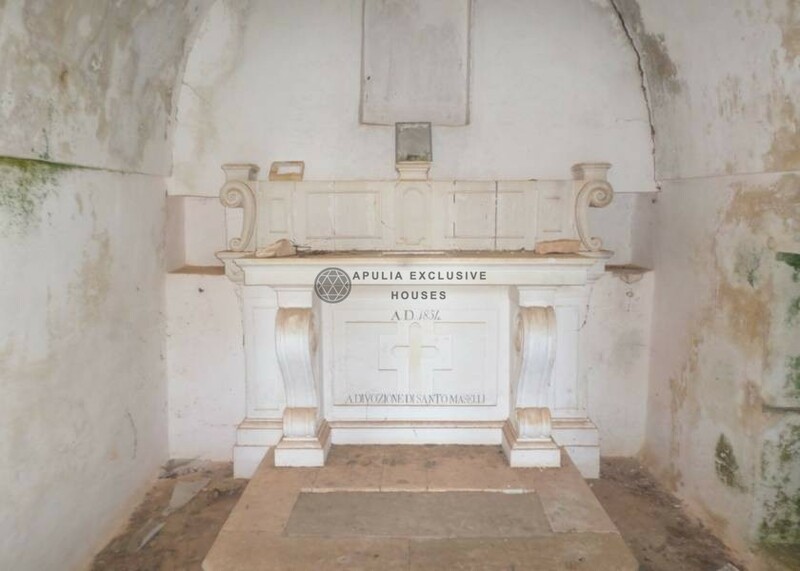 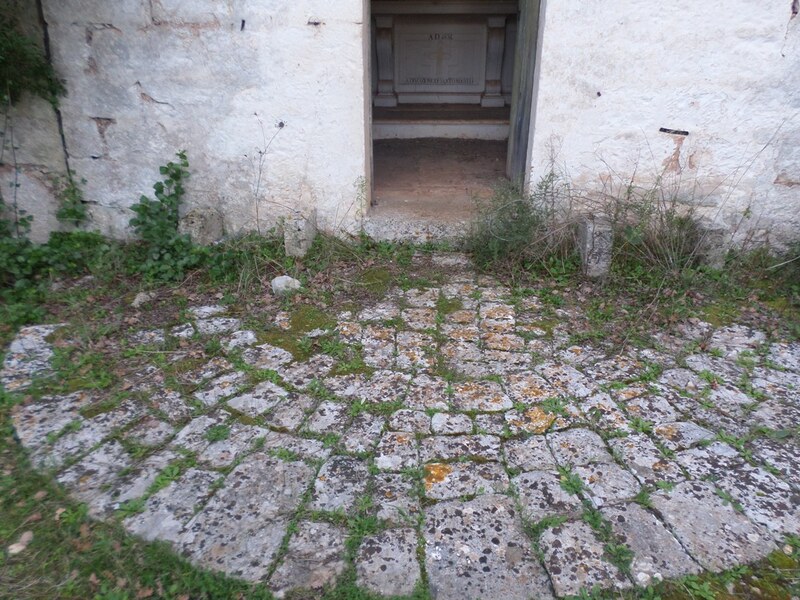 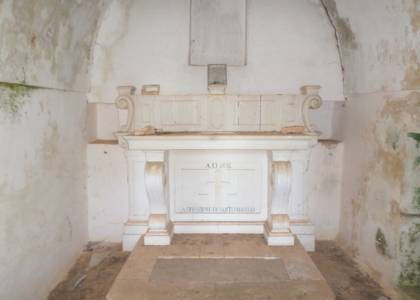 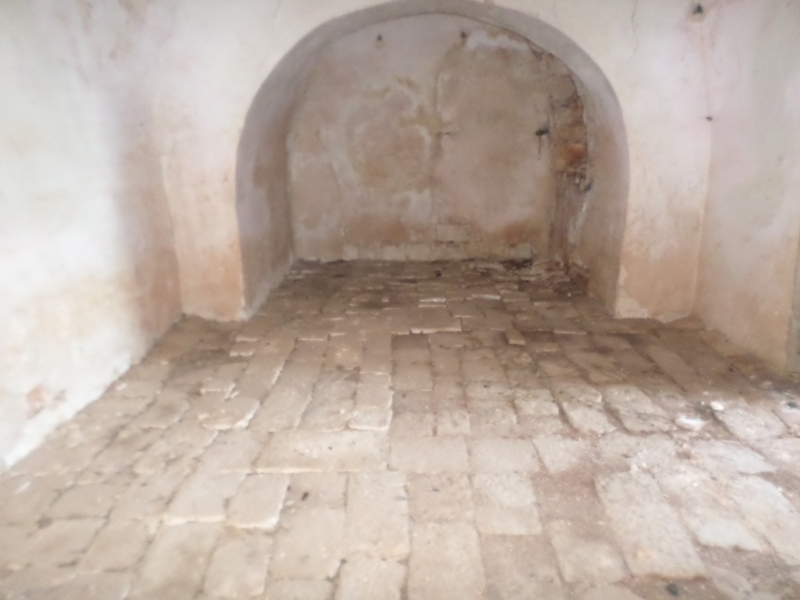 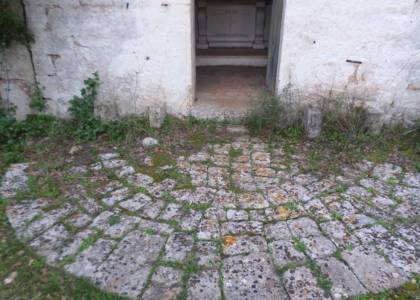 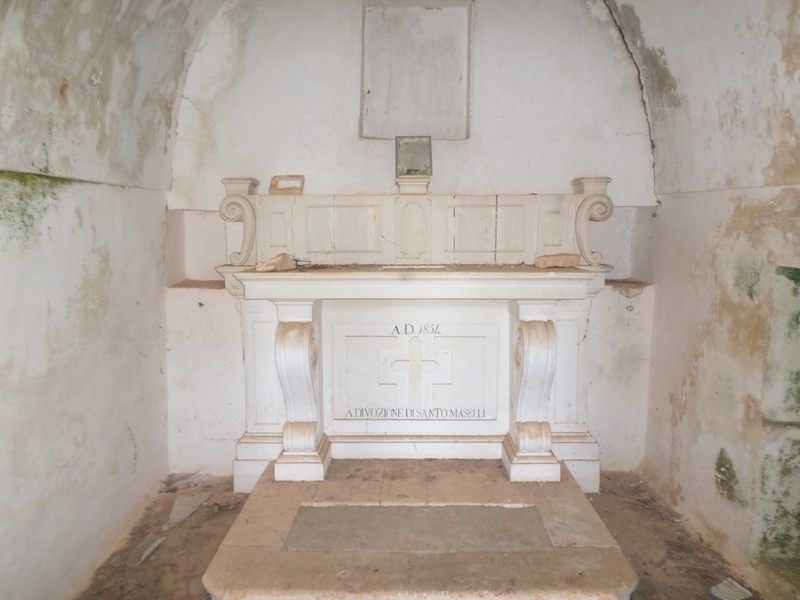 Outside there is a little rural church with a vaulted ceiling and a stone altar. 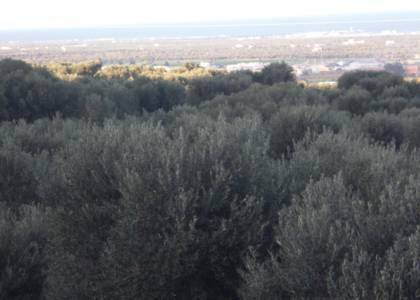 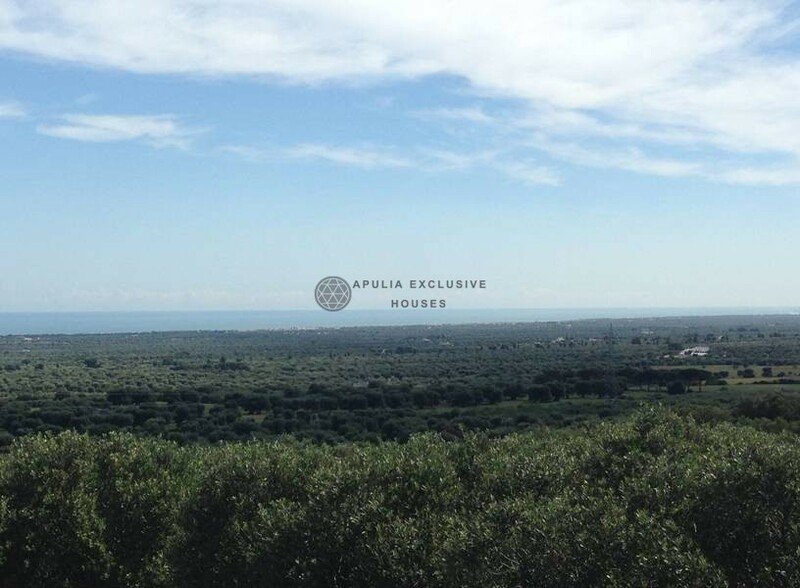 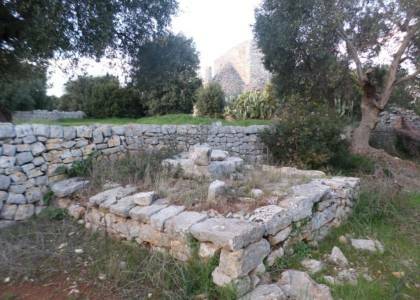 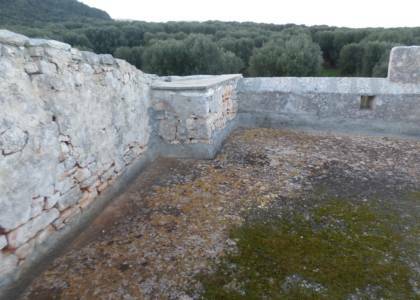 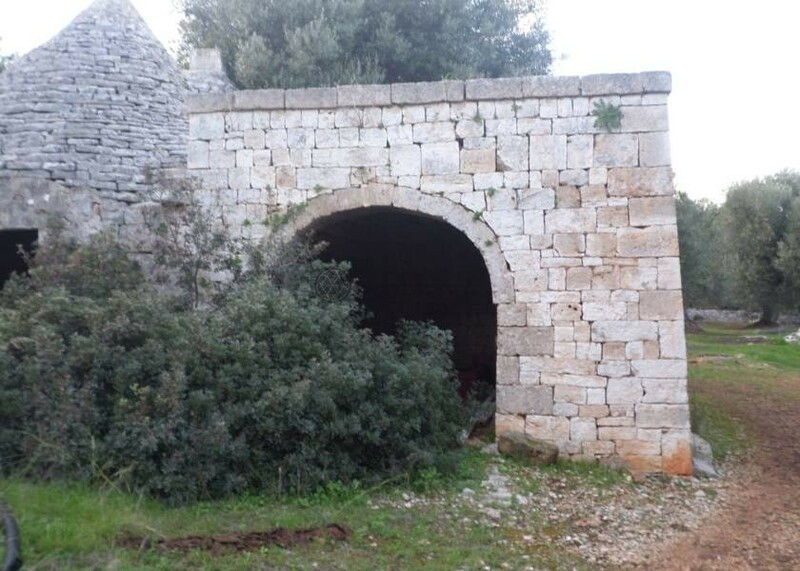 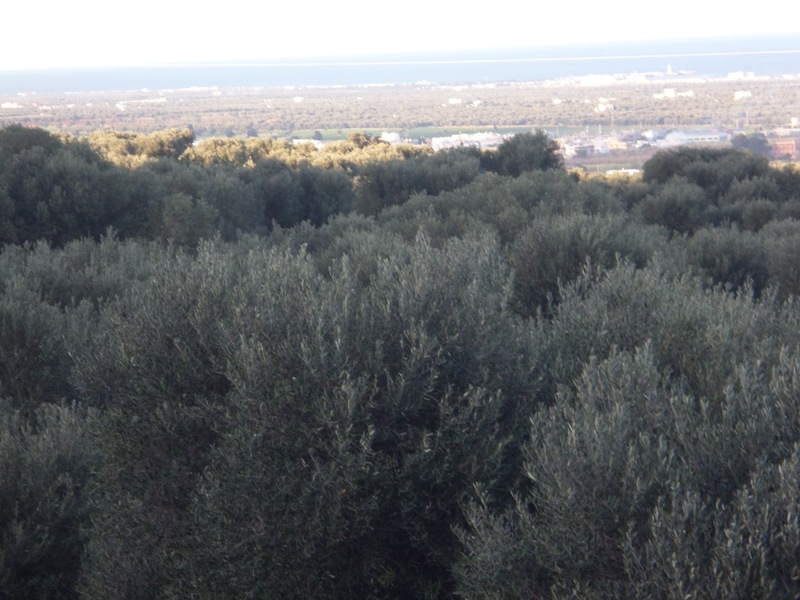 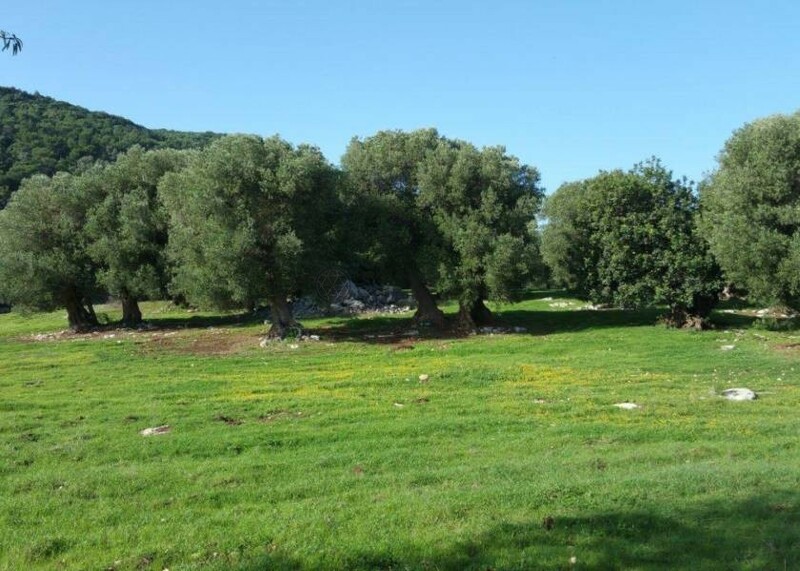 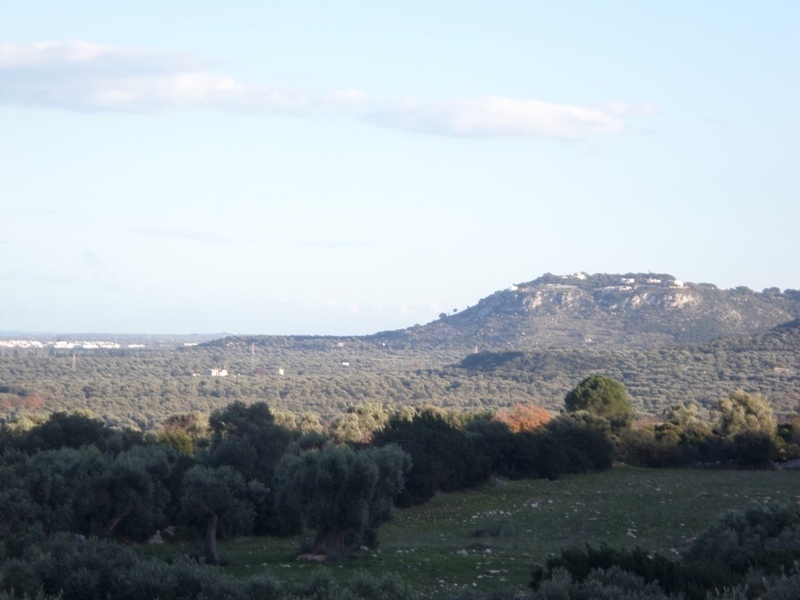 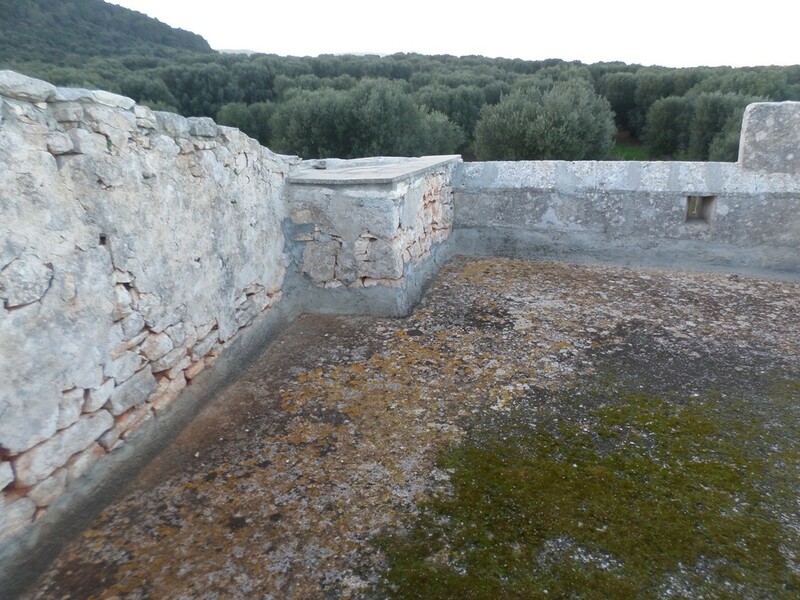 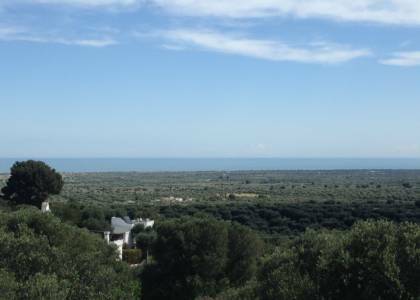 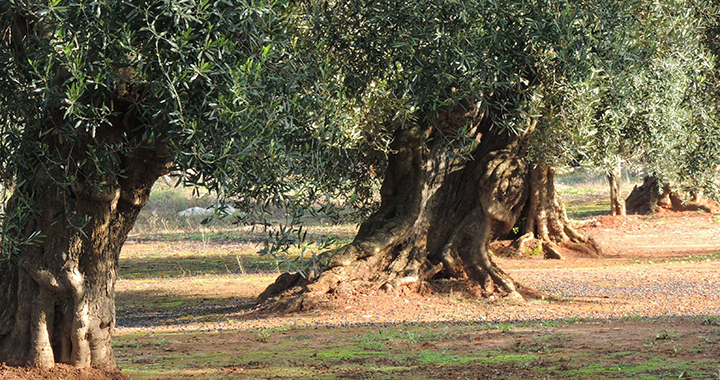 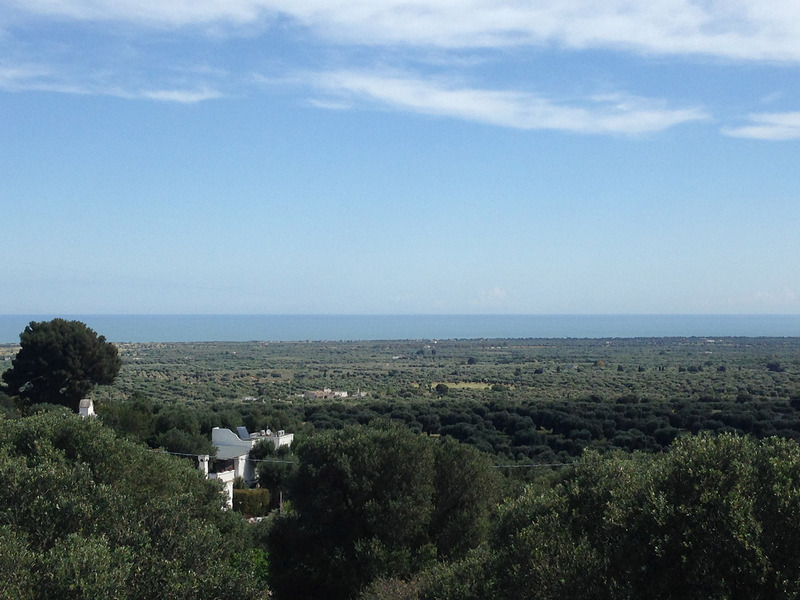 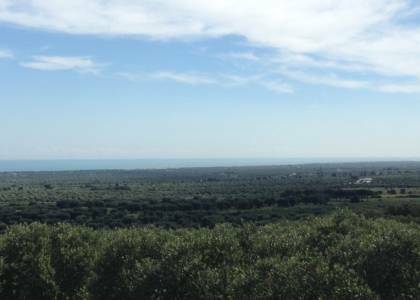 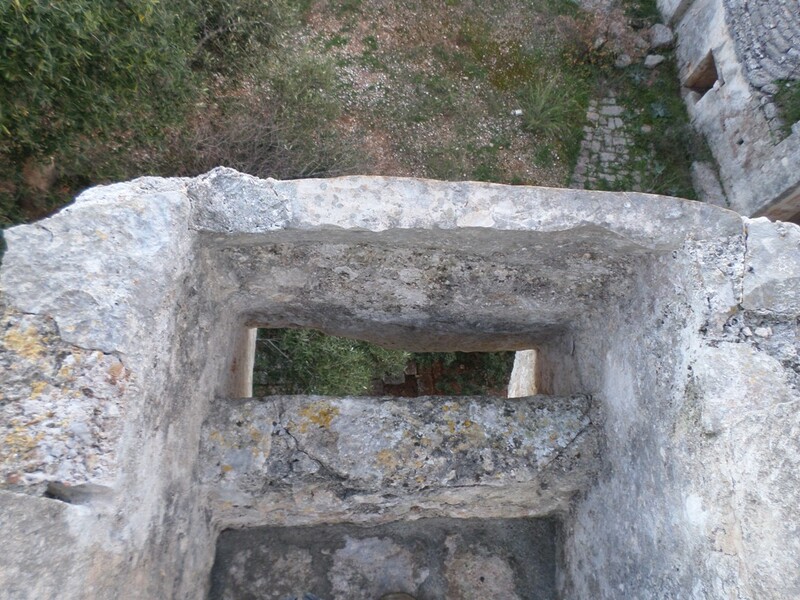 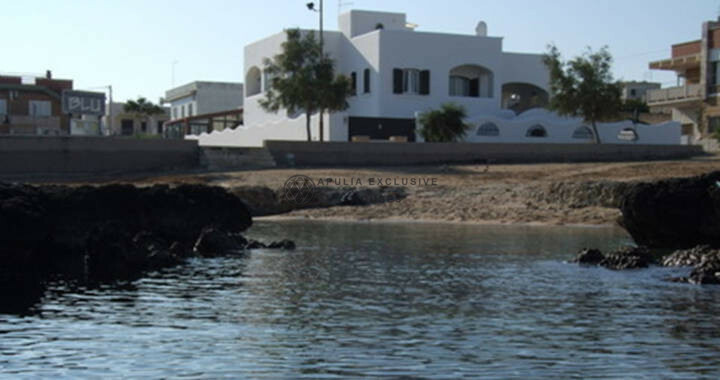 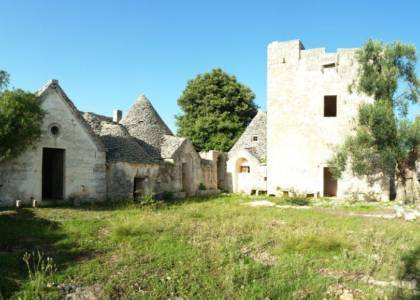 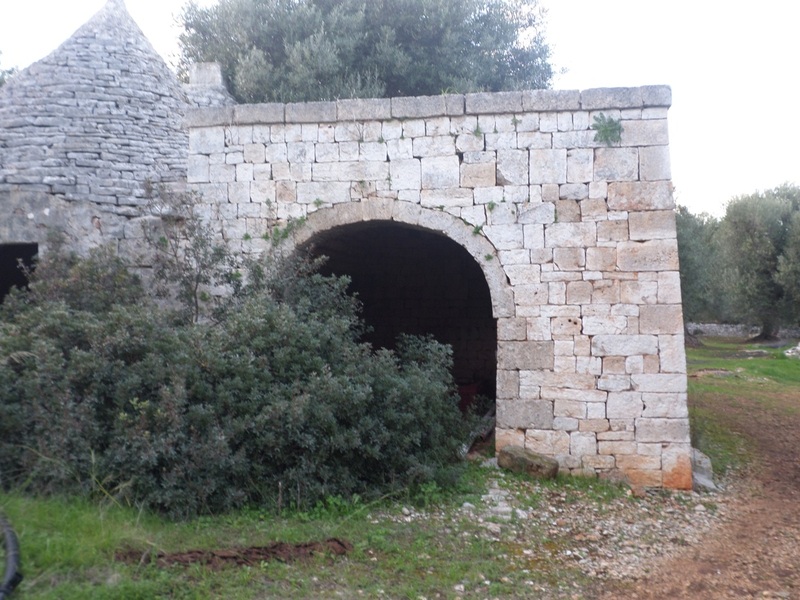 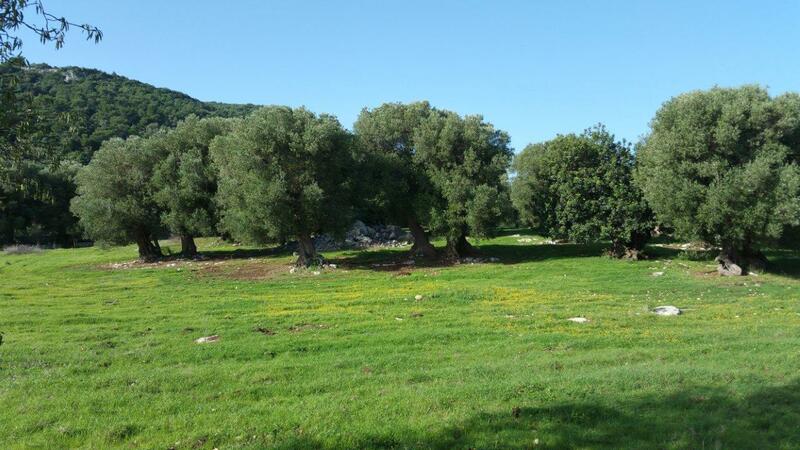 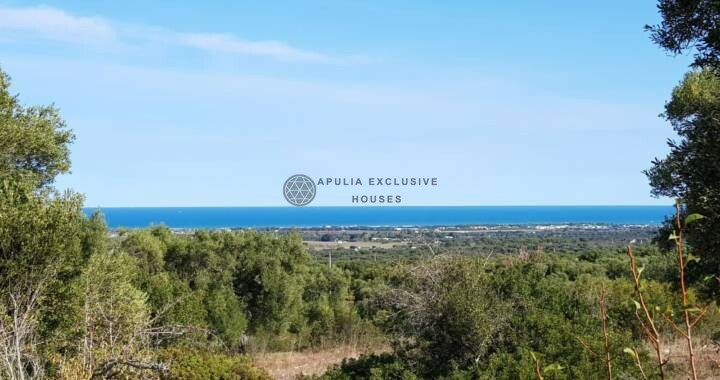 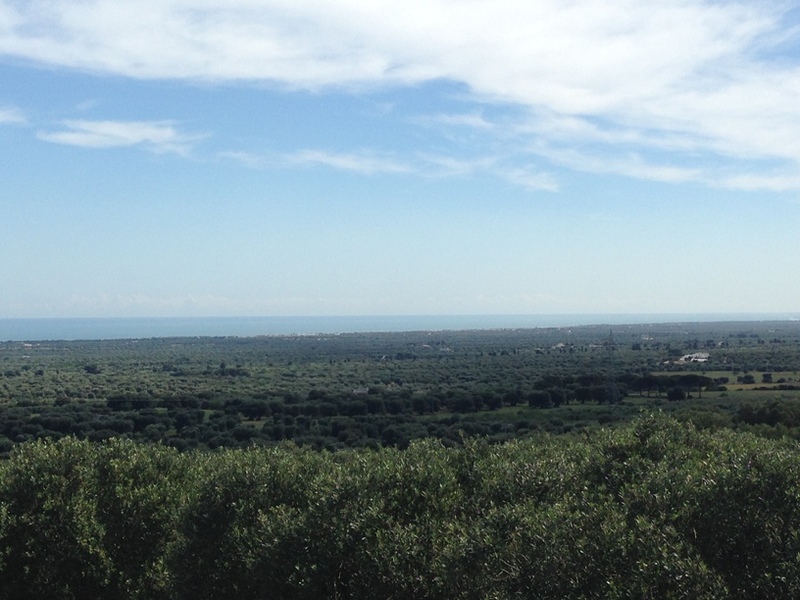 The land of relevance is about 14 HA cultivated with old olive grove, orchard and garden. 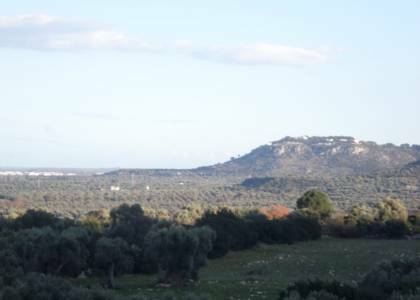 The farm is located in a peaceful and reserved area ideal for both private residence and hotel activity with charm and style.